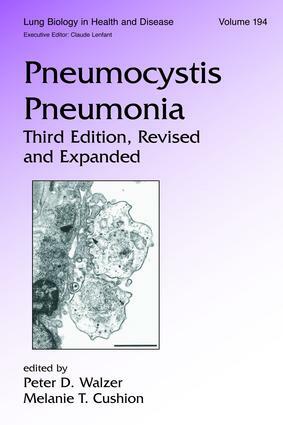 Continuing to serve as the definitive source on the subject, Pneumocystis Pneumonia offers a detailed update on the biology, pathogenesis, genetics, and immunology of Pneumocystis. This reference offers invaluable research and previously unpublished findings, and provides in-depth reviews on the development of new drugs, insights into host-pathogen interactions, emerging diagnostic techniques, global perspectives of the infection, future directions in the field, and more. This volume also provides a discussion of the genetic diversity of the disease in the context of nomenclature and recognition of species and molecular typing as well as description of the ongoing genome project. "…a comprehensive and invaluable resource for information on the scientific aspects of the study of these remarkable fungi, as well as the clinical issues relevant to Pneumocystis infection. The editors are to be congratulated for assembling the expert team that has produced this solid body of information." "…the most comprehensive source of data in the fast evolving field of P carinii infection….it is the reference book on pneumocystis." "…a highly recommended treatise for all medical libraries."